The dates for the Limerick LGBTQ Pride Festival 2017 have been announced! The festival will run from Monday, July 10th – Sunday 16th, 2017, with the Limerick LGBTQ Parade taking place on on Saturday, July 15th, 2017. Mark your calendars!! Lisa Daly, Chairperson Limerick LGBTI Pride 2016, Gerald Mitchell, Deputy Mayor of Limerick, Elsie Cox, Strokers Gay Bar, Richard Lynch, PRO Limerick LGBTI Pride 2016 and actor Myles Breen pictured at the press launch for Limerick LGBTI Pride Festival 2016 at the George Boutique Hotel. Picture: Johnny Baynes/ilovelimerick. The countdown to Limerick LGBTI Pride Festival officially began with the press launch at the George Boutique Hotel in Limerick City on Tuesday June 7. 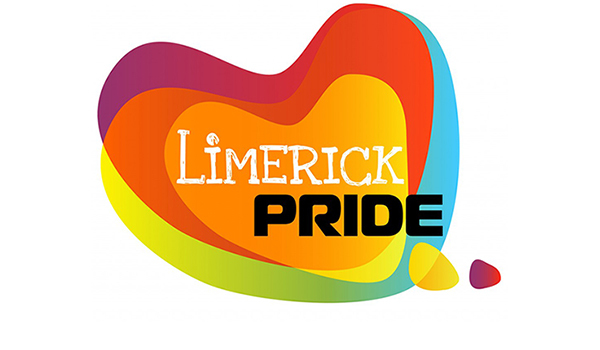 The Limerick Pride LGBTI Festival 2016 will be taking place starting on Monday July 11 until Sunday July 17 with the Parade on Saturday July 16 and will feature a multitude of events from workshops, support meetings and discussions to evenings of music and club nights, to cater to the Pride needs of everyone. This year’s Pride will have an educational aspect. Support meetings will be held during the week for youth, adult and trans groups. There will also be free drop in HIV testing at GOSHH, 18 Davis Street on Wednesday and Thursday of Pride week. Call GOSHH at 061 314354 or email info@goshh.ie for more information. A Day in May photograph exhibition is on in The Belltable, 69 O’Connell Street runs until July 15. Charlie Bird, distinguished RTE broadcaster travelled the length and breadth of Ireland to record the moving stories of some 80 people impacted by the Marriage Equality referendum. 52 stories and personal photographs are combined in the ‘A Day in May’ book published by Merrion Press. All proceeds from the sale of the book are going to suicide awareness and prevention. Limerick Pride’s official Launch night on Monday July 11 will be in Strokers Gay Bar on William Street at 9pm with champagne, finger food and dance floor musical treats. Strokers are opening 7 nights during Pride to offer something different on every night of Pride. On Tuesday, July 12 from 1pm to 4pm, Strokers Gay Bar is hosting a Trans Workshop. Whether you’re interested in learning to put on make up, pick out high heels or how to create a realistic beard, this will be a very special event for you. Experts will be there to show you the skills you need to present in your gender. Contact Strokers Gay Bar to sign up for a place in this workshop. On Wednesday, July 13, the Pride Wedding Show, a wedding fair established in 2014 as part of Limerick Pride Festival, will take place from 6pm to 8pm at the Absolute Hotel. Sharon McMeel, an award winning wedding planner, said about the fair: “We’ll have different suppliers and vendors there, so all couples regardless of their sexual orientation will have a good opportunity to get answers to their important questions if they are considering getting married. With the historic ‘Yes’ vote last year for the marriage referendum, it’s great to be able to look out for all the people who have gotten newly engaged.” Free entry to the event and anyone looking to book a stand can email Sharon at Sharon@sharonmcmeel.ie or call 086 8524800. Wednesday after the Pride Wedding Show, Cobblestone Joes is home to the Limerick Pride Open Mic night. The inclusive atmosphere of one of Limericks top music venues is the perfect fit for the #UnitedColoursofLimerick theme with all singers and musicians welcome for this fantastic music celebration. No cover charge. On Thursday July 14, Mezz Ladies Night at the Red Hen sees the comeback of the hottest night for girls who like girls with a prosecco reception, DJ and late bar with free admission. Stanzas is a monthly poetry event for budding wordsmiths which has been running in Limerick for 2 years this July. Stanzas are running a special official event as part of Limerick LBTI Pride. Stanzas is an event for emerging writers to come together and express themselves in an open environment. As part of their festival of words they are calling on LGBTI writers to recite their work outside Lucky Lane at a Stanzas LGBTI Poetry event at 1pm on Friday July 15. To sign up simply email stanzas.limerick@gmail.com. Limerick Youth Service & GOSHH are teaming up to host Limerick’s first Pride Youth Party at LYS’s Lava Javas Youth Cafe, 5 Lower Glentworth St on Friday, July 15 from 5:30 to 8:30pm. For more details please contact John Real at johnr@limerickyouthservic.com or at 087-2626816. On Friday, July 15 the now traditional event ‘T’was the night before Pride’ will take place at Mickey Martins from 9pm-11.30pm. Running since 2008, Mickey Martins return for another year to host the pre-pride party with guest DJ’s and camp classics. Afterwards it’s off to Club Milk’s 3rd Birthday Bash with DJ Gary G.
The annual Limerick LGBTI Pride Parade on Saturday July 16, will bring some extra colour and music to Limerick City Centre, gathering at City Hall at 1.30pm, the Parade will make its way at 2.30pm sharp up O’Connell Street, across Mallow Street to Henry Street, past Arthurs Quay Park and returning to City Hall. There will be a rainbow balloon release once the parade passes Debenhams on O Connell Street. We strongly recommend rainbow colours as our theme is #UnitedColoursofLimerick this year. Then everyone will go to the Hunt Museum for PrideFest 2016, a showcase of local LGBT culture in Limerick in a lavish marquee in the museum gardens with host Paul Ryder. Special guests Hands in Harmony Deaf Community Choir and back by popular demand Patrick James, Voice of Ireland 2015 winner. Limerick legend, actor, director and playwright, Myles Breen will be holding his annual tea dance, which for many is a highlight of the festival. That night after Pridefest, the main Climax Party at Dolan’s Warehouse, will feature Queens of Limerick, Madonna Lucia and Sheila Fitzpatrick taking to the stage with local acts and with the Dublin queens of “Dragged Up” including Gala award entertainer of the year Victoria Secret, Paul Ryder, Regina George and Pixie, followed by DJ Ruth on the main floor, a “Saved by the 90s” party upstairs and Madonna Lucia hosting her monthly party at Confessions. Three rooms packed with colour, vibrancy and music for all. On Sunday June 17, a Prideful Recovery Event will be held at GOSHH, 18 Davis Street from 1pm – 5pm. A full line-up for Pride week can be found at www.LimerickPride.ie with updates at www.facebook.com/limerickpride. Tag your photos and comments about this years Pride with #UnitedColoursofLimerick.